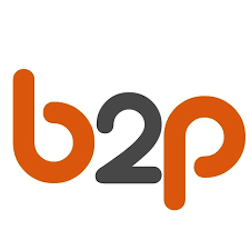 B2P Partners makes B2B marketing more powerful by making it more personal. B2P Partners has a 3-stage prospect intelligence system moving enterprises from pain to plan in one quarter. No other approach equips you with your Key Prospect Insight that yields The Big Idea to integrate and inspire all your online, offline, and sales enablement plans. Customers include Baxter, Citibank, IBM, Intel, Microsoft, Morgan Stanley, Reed Elsevier, Siemens, and Visa. B2P is an agency leveraging prospect intelligence to equip enterprises with prospect-centered strategies that increase your impact and make your expansion more effective and efficient.